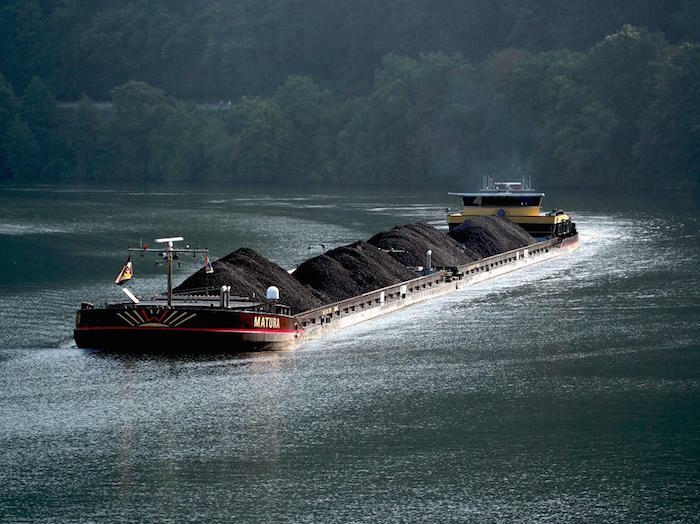 After months of low water on Germany's rivers, levels on the main transport artery the Rhine have fallen again to near-record lows seen mid-October causing more utilities to warn about dwindling coal stocks. Utility Uniper issued a market message Thursday saying that due to the "tight coal delivery situation the power plant Scholven B and C is strongly affected until further notice." Though focus is mostly on the Rhine, transport on other German rivers has become difficult, too. Vattenfall said throughout Germany coal transport would be difficult, affecting its sites Reuter, Reuter W and Moabit in Berlin. RWE and EnBW have been warning since August about delivery issues to some of their plants with the latter saying in their most recent results that costs of transport and non-availability of their hard-coal plants was a factor which negatively influenced their figures. Estimates by the German Federal Institute of Hydrology (BfG) showed levels will not exceed 35 cm this week and there is no recovery in sight as regional rainfall is sparse and not sufficient to bring a turnaround in the coming weeks. Antrhing below 80 cm is critical for shipping due to reduced waterway depth, sources said. Rhine water flow upstream at the Swiss-German border fell to 46% of the long-term average in the latest week, according to the Swiss energy office. Barge traffic has been heavily limited as some vessels are not able to navigate the shallow waters, according to operators. EEX Transparency shows EnBW's 778 MW Heilbronn Block 7 and 337 MW RDK 8 hard coal plant out Friday to Sunday, and the 136 MW Walheim oil plant out until December 1. Uniper's Scholven C plant availability is reduced by 345 MW from November 16 to 26. Reductions of around 200 MW and below are reported at Steag's Fenne, Walsum and Luenen hard coal plants on the weekend and Uniper's 510 MW Stauding 5 coal plant shows offline Sunday. RWE's Gersteinwerk and Westfalen E plants were affected heavily in recent weeks as well but are currently shown on grid. German spot prices have seen 22-month highs this week with day-ahead base delivery above Eur80/MWh as cold weather, a drop in wind end-week additionally lifted power prices. By contrast with persistently low river levels, Swiss hydro stocks are still at a four-year high at 79.6% total capacity. Stocks decreased some 50 GWh last week to 7.026 TWh which is above the 10-year average, data from the Swiss energy office showed.